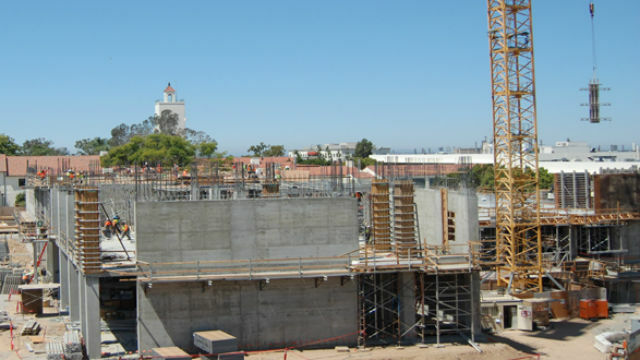 Construction projects across campus, including the Engineering and Interdisciplinary Sciences Complex, South Campus Plaza, and main campus gateway at Campanile Drive are dramatically changing the university skyline. More than 83,000 freshmen and undergraduate transfer students applied for fall 2016 admission to SDSU ― an all-time high for the university. Approximately 8,500 new undergraduates and 2,200 new graduate students are joining the Aztec family. The incoming class is one of the most internationally diverse to date, with 315 new exchange students and 825 new degree and certificate seeking international students representing 80 countries. SDSU will also welcome 51 new tenured and tenure-track faculty members, part of a five-year goal to add 300 new faculty members. New faculty members this year come from Harvard, Columbia, Cambridge, Emory and other world-class research universities.